I want to let you know that we are centralizing our Office 365 customer success efforts to Microsoft FastTrack. 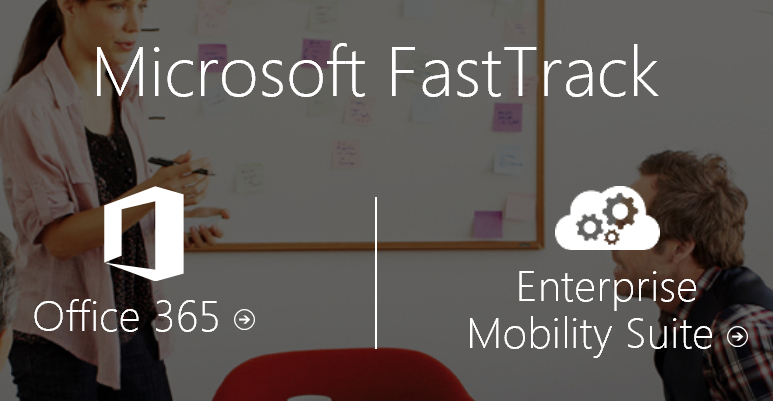 FastTrack is included as part of your Office 365 subscription and has evolved from being an onboarding program to being our customer success service. It is designed to help you realize business value faster with Office 365. FastTrack provides you access to best practices, tools and resources for success and offers assistance with onboarding, migration, and adoption planning. A key part of FastTrack is having access to Microsoft experts who can help you onboard to Office 365 and help you get the most value out of Office 365. We have been expanding the FastTrack team to include customer success and adoption expertise and are now ready to begin transitioning your customer success engagement from your Customer Success Manager (CSM) to the FastTrack team. Microsoft is committed to making this transition as smooth as possible and will continue investing in FastTrack to support your success with Office 365. I would appreciate the opportunity to tell you more about this transition, including the assistance, guidance and offers that are available to you as a customer through FastTrack. In the meantime, you are welcome to visit the FastTrack web site at fasttrack.microsoft.com, and learn more about the service.